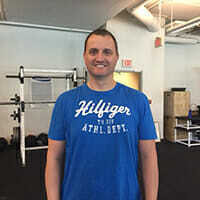 Our personal trainers have been running successful corporate fitness programs for Vancouver businesses since 2002. Decrease sick days, increase productivity, improve self-esteem and benefit from team building with a program entirely customized to fit your group’s needs. Precision Athletics loves developing educational programs that will engage and motivate staff. Increasing physical activity, instilling healthy nutrition choices and encouraging better lifestyle habits are crucial to a happier, healthier and more productive workplace. We’ve worked with all types of businesses in downtown Vancouver including Vision Critical, RBC, PCI Development, Snack Alliance, Public Safety, Westbank Projects Corporation and Shaw Communications. With a group of work colleagues, I’ve been a Bootcamp client of Precision Athletics for about 5 years now. Craig always does a fantastic job of designing a whole-body workout that continually varies from class to class. It’s a fun, motivational environment that mostly makes you forget you are pushing your limits. Owing to the ever-changing routines and intensity of the sessions, these are the types of workouts it would be difficult to replicate on my own. Further, the staff of Precision are all very friendly and knowledgeable, and it’s been a pleasure being a client and getting to know them all. GET FIT WITH YOUR WORK TEAM AND A CORPORATE FITNESS TRAINER.